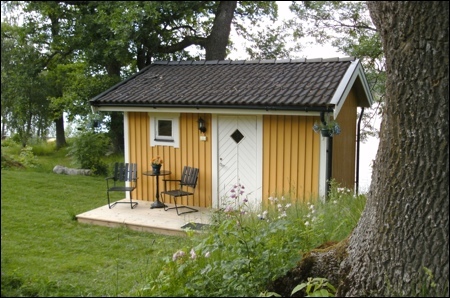 When you rent Brovakten Bed and Breakfast in Stockholm, you have everything within reach! Wildlife and city life at the same time. Stockholm City is reached swift and easily. The accommodation consists of a freestanding cottage 10 meters from the Lake Magelungen. Equipped with two + one-bed, toilet, shower, Fridge, Stove, Microwave oven and broadband Internet.